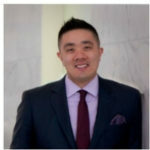 Jobs in ETFs had a chance to speak to Bobby Eng who has worked in the ETF industry for 15 years, moving through the ranks of some of the industries most respected companies, he is currently working at SSGA and is excited for the new challenges developing in the market. JE: Please tell us about yourself, your experience and your first job in the ETF Industry. Bobby: I had the privilege of starting in the ETF industry in 2003 at Barclays Global Investors, the investment management division of Barclays. My first role was a Business Development Associate working with retail investment advisors across Canada. ETFs were relatively new in the market so I ended up spending the majority of my time educating the market on exchange traded funds. I was fortunate enough to advance within the organization and take on progressively increased responsibility over my 10-year tenure there. My last role there was Director, Head of National Accounts. I subsequently spent over 3 years at First Trust Portfolios as Senior Vice President & Head of Sales building out their ETF distribution team. 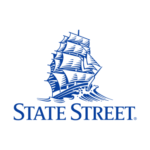 Currently, I am at State Street Global Advisors responsible for the SPDR ETF business in Canada. JE: What are the things you work on in your current role, what are some of the challenges and what do you enjoy the most? Bobby: My current role is to build out the SPDR ETF business in the Canadian market primarily focusing on institutional investors including pension plans, endowments, foundations, insurance companies, investment consultants, asset managers and banks. I enjoy the process of growing a business and building out a brand through marketing and education. The Canadian ETF market is getting increasingly more competitive and crowded which is clearly a challenge to differentiate and add value. JE: How did you decide to pursue the career you have today and what was the pivotal moment? Bobby: Prior to joining the ETFs industry in 2003, I was working at a very large active mutual fund company. I had the opportunity to join BGI and I recall contemplating joining the passive ETF market. Clearly I did and it was a great decision. There are pivotal moments in one’s career that will determine the direction it will go. That was one of those moments. Bobby: I believe the highlight of my career will be what I’ll accomplish at SSGA. Stay tuned! JE: What is the best bit of advice you’ve received? And what advice would you give to those who are just starting in the industry? Bobby: Although the Canadian ETF market has grown significantly over the past 15 years, the ETF community is relatively small and everyone tends to know everyone. Your reputation is your best asset. JE: What key skills do you think professionals need in order to be successful in the ETF industry? Bobby: As a general trait of success, work ethic is invaluable. You don’t need to be the smartest person in the room, however I believe that you should strive to be the hardest working.